It’s funny, but kale only tastes good to me and Hubs when it’s bordering on burnt. And a heavy dusting of turmeric and paprika doesn’t hurt either. It might not be the healthiest way to eat this vegetable, but life’s too short to steam your kale. 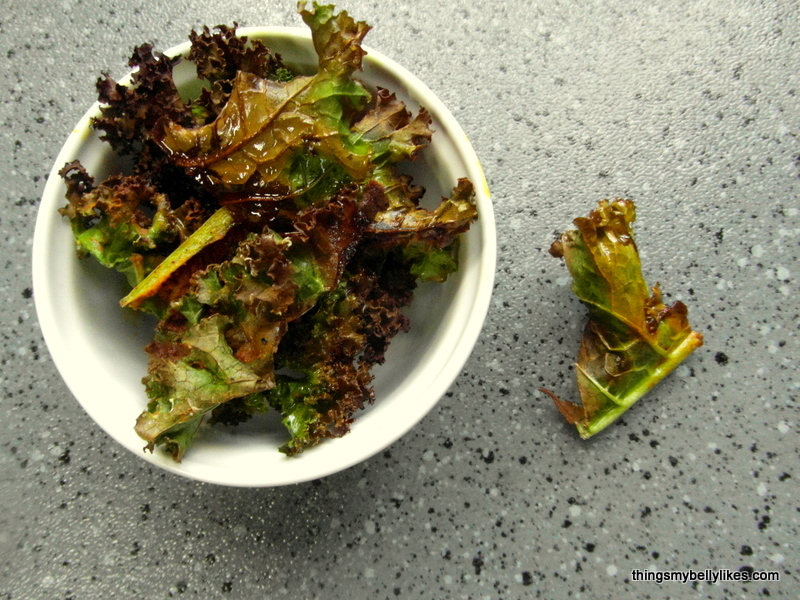 Trim the stem off the kale leaves and wash well. Pat dry then cut into large chips. Arrange on a lined baking tray then drizzle over the oil, trying to hit each chip. Follow with a generous dusting of salt, then sprinkle over the paprika and turmeric. Bake at 400 for 10 minutes until crispy.